A study involving the world’s deadliest substance has yielded a new strategy to clear toxins from the body—which may lead to more efficient strategies against toxins that may be used in a bioterrorist event, as well as snake bites, scorpion stings, and even some important chronic diseases. A Tufts-led team developed the new strategy to deliver small binding agents that seek out Botulinum toxin molecules and bind to them at several points. The binding agents each contain a common tag that is recognized by a single, co-administered anti-tag antibody. Once the toxin molecule is surrounded by bound antibodies, it is flushed out of the system through the liver before it can poison the body. We’ve proven this approach to protect against Botulinum intoxication in mice and we hope this will lead to rapid development and deployment of many new anti-toxin therapies—for botulism and beyond, said Charles B. Shoemaker, PhD, professor of biomedical sciences at Tufts University’s Cummings School of Veterinary Medicine and the study’s corresponding author. What’s more, the binding agents can be produced with more than one tag, which enables them to direct more antibodies to the toxin—and synergistically improve target clearance from the body. Many binding agent scaffolds can be produced as functional multimers so that the different binding agents could be produced as beads on a string, leading to a single molecule that targets one, or even several, biomolecules for clearance from the body. 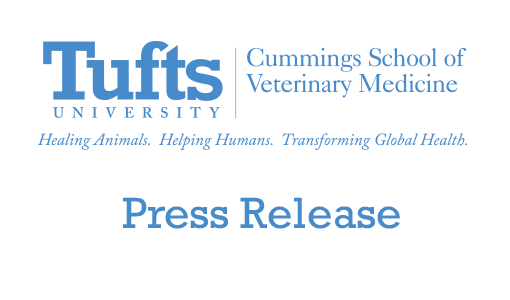 The Division of Infectious Diseases at the Cummings School of Veterinary Medicine is Tufts University’s largest research division. In 2003, the division was awarded a $25-million, seven-year contract from the National Institutes of Health (NIH) to develop products to rapidly identify, prevent, treat, and diagnose food and waterborne diseases that threaten public health. Tufts established one of seven national research units within the new national Food and Waterborne Disease Integrated Research Network. 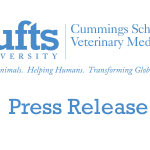 The award also launched the Microbiology and Botulism Research Unit, which combines botulism research efforts from Tufts and other public and private institutions in the US and UK.